In a bid to encourage aspiring entrepreneurs, Chance-Media features on a weekly basis, successful female entrepreneurs in our #LadyFromNaija series. The aim, is for these successful ones to tell their stories in their own words and encourage many others facing similar or even lesser challenges. This week we present our interview with Mrs Anulika Enemuo, a lawyer, wife, mother and successful entrepreneur. Mrs Enemuo: My name is Anulika Enemuo, a mum to two beautiful boys under the age of two. I went to the University of Sheffield and Kings College, London. I studied Law (Bachelors In Law) and Masters in Law as well. Chance Media: Tell us about your company? Mrs Enemuo: Am a business woman. I own a few companies that i run, an event management company, a fashion house and also business coach/mentor. 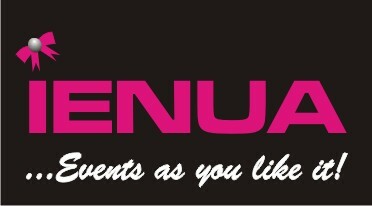 My initial companies are the event management and the fashion house called IENUA LIMITED. I am also a business coach and mentor. I help people start up their own businesses and develop additional streams around their current job or business. Chance Media: What motivated you to leave your job at a first-rate law firm in Nigeria? Mrs Enemuo: it was a fantastic Law firm, the experience was amazing but it got to a point in my life where i needed more time, i needed more income, and needed to be able to spend time with my loved ones. And i needed more satisfaction. So the reason that i really did leave even though it was a fantastic law firm; for me, i felt it was the right time because i needed to venture into something else that i have more passion for in other to earn more income, be able to grow myself and have more satisfaction. So because there was not enough time, i worked long hours at the Law firm that was the reason why i needed something that can allow me work around my children as well as still make an income and career for myself. Chance Media: What are the challenges you face as a female entrepreneur in Nigeria? Often and off, you get unsolicited attention due to being female and the opposite still sees you as an object. Sometimes a lot of them can’t beat pass your physical to what you want to bring up on the table. Trying to run a very successful business at the same run a family, it can be quite challenging but i have learnt to multi task and be at top of my game now. Am quite happy am able to get a fantastic work life balance. Chance Media: How did you raise finance for your business? Mrs Enemuo: We understand that in Nigeria, it is very hard for small businesses to access funds from the bank. So i started my business thoroughly through my personal finances that I saved and few supports from friends and family. That is how i started my business. I was able to pay back for the people that initially supported me and then also the income that I saved from my job. I started my business small and i have grown it big into a high profitable venture right now. Chance Media: What motivates you? Mrs Enemuo: Am motivated by a few things. First; i get motivated by making sure that am committed to giving my children the best and supporting my husband. I have a motivation to retire at the age of 45, so it is my call goal to put in all the efforts that i can right in order for me to be to work after 45years not if i have to but if i want to and be able to have financial freedom, the right life style travel the world and do things that really matters. Chance Media: Have been able to create employment with your business? Chance Media: What are your expansion plans? Chance Media: Are you seeking investors? Mrs Enemuo: Well, right now, am not seeking investors at the moment. I already do have investors that are lined initially when i started but i did tell to give me 5-10years to be to decide if am at the right place. Because getting an investor at an early age, it might put one under undue pressure so right now, am not seeking investors but depending on the if the investors are right, i might reconsider. Chance Media: What is a typical day in your life? Mrs Enemuo: A typical day in my life includes; waking up at 7 or 7:30am, say my prayers, do my personal developments by reading at least five to ten pages of a good book (motivational books, tape recordings), review my goals (my plans for the day, long term goal, short term goals), and then have breakfast with family, also have my son off at school and the get into the business of the day. Making clients calls. It takes me an hour routine to do the praying, reading and then the family breakfast. I schedule most meetings with clients between 12pm, 2pm or 4pm. I typically finish all my work at 5 o’clock on a good day. But this is flexible depending on what am doing, so i might decide to take the day off and focus on what to do. I do the cooking and get my kids ready for bed and then afterwards i spent time with my spouse till 10:30pm, do my night routine which includes prayers, reading motivational books and finally off to bed. Chance Media: Which female entrepreneur do you look up to? Mrs Enemuo: I have a few but right now Oprah Winfrey and Mitchell Obama (even though she is not an entrepreneur, but the way her life is, and the way she speak, speaks to me). Chance Media: Why did you become an entrepreneur? Mrs Enemuo: To tell you honest, at a very young age i have always known that i want to be an entrepreneur but it was not so clear up until when i graduated from Law school and started working in a law firm. Then it became clearer that i felt like i was limited and that is why i became an entrepreneur. Entrepreneurs are people that are pace setters that everybody else follow and i have always love be somebody who is always at the forefront of things and make them happen. Also be able to escape the nights of time. Chance Media: What were the challenges you faced starting out? The overheads of the cost of running your business and also being able to weather the storm as to how to start up a business, not knowing what to expect, going through the whole working long hours and getting very small in return, not knowing how to invest, not knowing how to do my PR, my marketing and just having a step to step guide on how to start up my business. Chance Media: Your advice to other aspiring entrepreneurs? make all the mistakes now because the quicker you make mistakes the quicker you become successful. You can start small, start part time. Do not quit your day job and jump into business because there are bills to pay. If you realise that you earn more in your business then you can quit and face it u. Also, give it time, nothing good happens over night. The kind of money now was not the kind of money i was making when i started my business. I had those growing pains, you have to pay your dues before people will want to do business with you or opportunities that will opened to you. Be willing to spend five to ten years to become successful but it is worth it. Chance Media: Finally, how many hours do you sleep at night on the average? Mrs Enemuo: I love my beauty sleep. Initially when i started my business, i probably sleep three to four hours a night because even though i try to sleep, i had this habit of waking up at nights to read having read so much while in school between 2am and 5am. But right now, for the past eight months, i try to sleep nine hours (go to bed at 10pm and wake at 7am) because i realise that it is better to be more productive than active so i cut out the things that are not necessarily needed to be done and use my time effectively. But if i have a project at hand (like am writing a book), i tend to wake up at 12:30am, also being a new mum, i work like an hour or two and go back to sleep so i can catch up my nine hours sleep in a day. ← CHANCE-MEDIA INTERVIEW WITH MS JANE ILOANYA.